Women over 30 in the UK and Ireland won the right to vote 100 years ago this week – to mark the occasion, Channel 4 is airing this drama about the suffragette movement. Carey Mulligan, Helena Bonham-Carter, and Meryl Streep star. And Courtney Act is the (very deserving) winner! The RuPaul’s Drag Race alum impressed viewers with her intelligence and compassion when helping the other housemates to understand LGBT issues. Despite all this, anti-gay politician Ann Widdecombe somehow came second. The world is a confusing place. 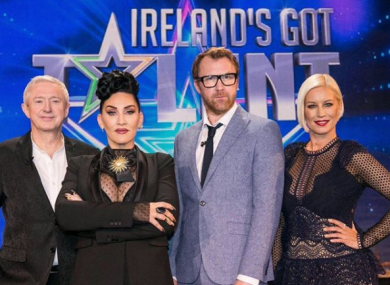 Ireland’s Got Mór Talent (TV3, 9pm) James Kavanagh and Glenda Gilson go behind-the-scenes at Ireland’s Got Talent. Noble (TV3, 10pm) Biopic about the children’s rights campaigner Christina Noble, starring Deirdre O’Kane. RuPaul’s Drag Race: All Stars 3 (Comedy Central, 10pm) Beloved queens from past seasons return to compete for a place in the Hall of Fame. The Talented Mr Ripley (BBC2, 10.30pm) Matt Damon and Jude Law star in this tense thriller. About Time (Channel 4, 11.10pm) Domhnall Gleeson does some time-travelling in this sweet Richard Curtis romcom.